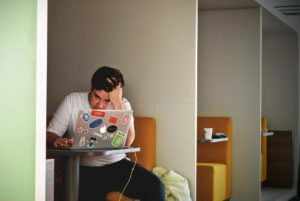 The World Health Organization has dubbed stress ‘the epidemic of the 21st century.’ It is caused by many, many factors, including social, cultural, economic, biological, and ergonomic pressures. Not only is stress caused by a wide range of factors, but it also has an enormous number of damaging consequences. From heart disease, asthma, to depression or Alzheimer’s disease, stress is a nearly universal component for disease and health issues. One of the most common side effects of stress is muscle tension. When you’re stressed, your muscles tend to take a lot of the burden, and undoing the damage done by stress can be a long, difficult, and even painful process. Chiropractic care works to reduce the muscle tension, through spinal adjustments which help to loosen up tight muscles, and realign your body to its natural position. Reducing muscle tension can also assist with other symptoms of muscle tension, like lack of sleep, and an inability to exercise. A body riddled with the consequences of stress is debilitated in many ways, including making it difficult to move in the ways you are used to. Working with a Seattle chiropractor like Petett Chiropractic can help to restore your range of motion, which allows you to get back to the other physical activities like exercise, swimming, and yoga, which are natural stress management practices. Most people struggle with stress thanks to the time they have to spend at their jobs, and this is often caused by poor posture. Whether you’re working on a factory floor, or spending eight or more hours of your day at a desk, your posture is crucial for stress management and good health. A chiropractor can work with you to use spinal adjustments and posture advice to keep your back in natural working order. Are you interested in chiropractic care to handle your stress? If so, contact Petett Chiropractic today, to see how working with one of Seattle’s best chiropractic practitioners can lower your stress levels, and get your health back to its maximum.